They are building fresh features and enhancing the existing one for better user experience. 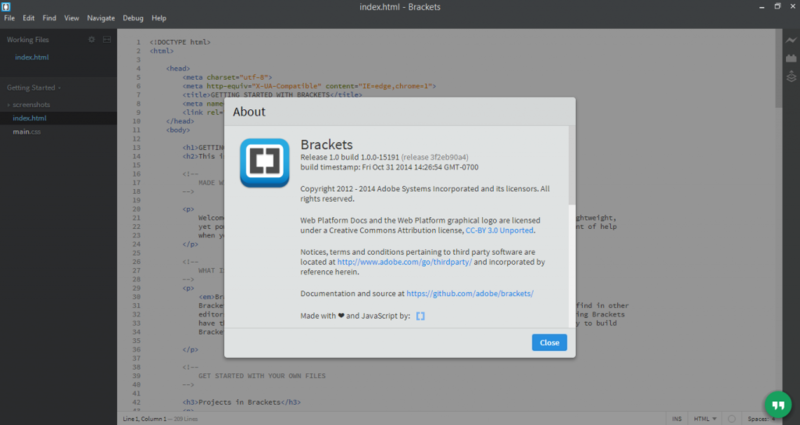 Download Brackets, and explore the excellent stuff. 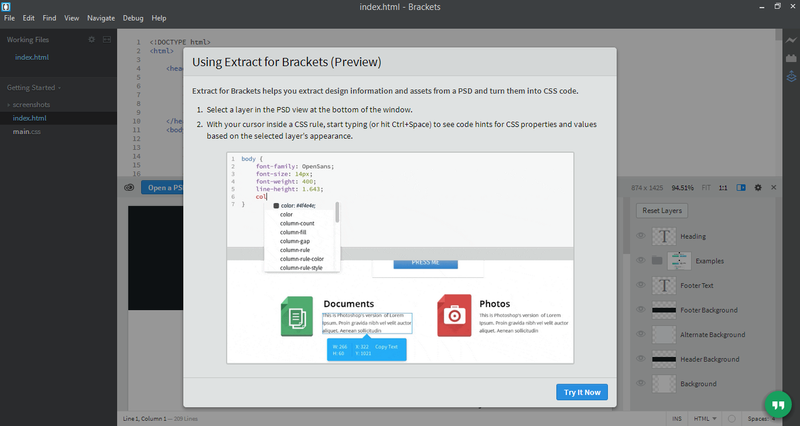 It is one of the most useful feature in Adobe Brackets. You can rewrite several parts of code at one like rename several variables or add the same text in multiple locations. You can split the editor in two columns or two rows. You can watch and write HTML and CSS code in parallel. 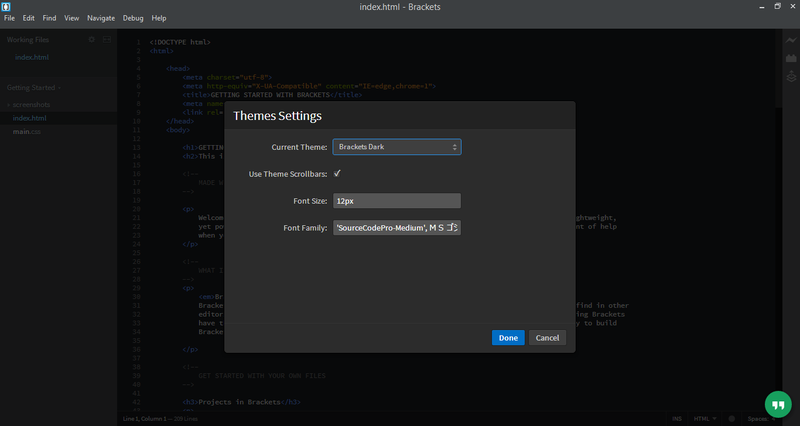 You can change the theme of Adobe Bracelet v1.0. Set font size and font-family as per user choice. 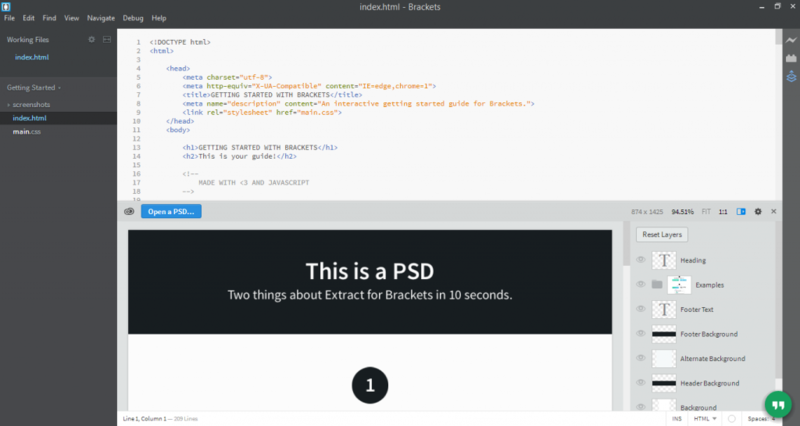 An extension that speeds up the process of pulling design information from a PSD – such as colors, fonts, gradients, images and then turning it into clean, minimal CSS. Custom key binding so that user can change the shortcut key combinations that Brackets uses. 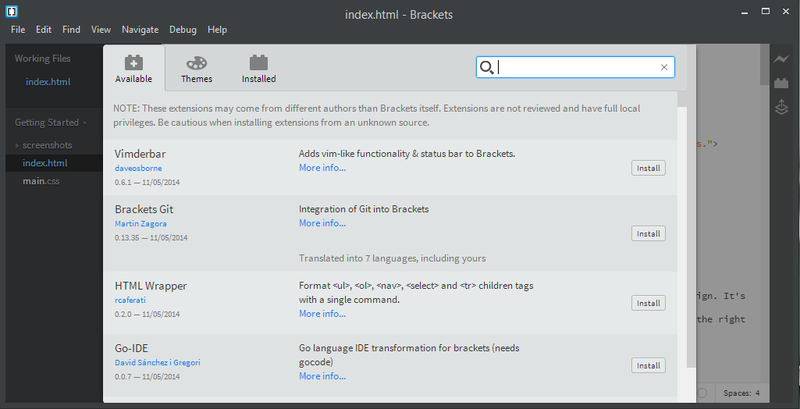 Developers or designers can also download and apply extensions to add functionality to assist their workflow, such as JSHint support and Git integration. Themes for brackets: A theme-pack that styles the whole editor. 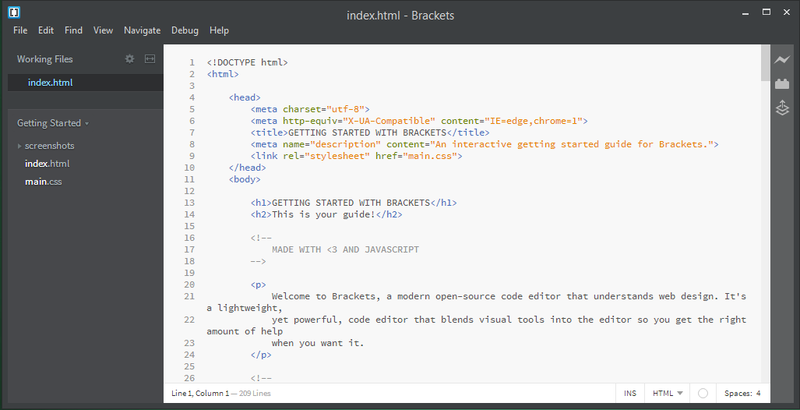 Brackets Git: Integrate Git for Brackets. Adobe Bracelets design looks clean and elegant, the font and color looks simple and easy to use. They have used every small space in such a way, so that designer or developer can focus more on the code rather than unnecessary tabs and links. What they are planning after V1.0? They have mentioned in their blog that, they are treating this release like any other release, and they will continue to release often and will be doing the next Brackets release in 3-4 weeks. Since Adobe developers has a lot of expertise in designing field, so they have open mind for coding tool that supports design in much better ways. 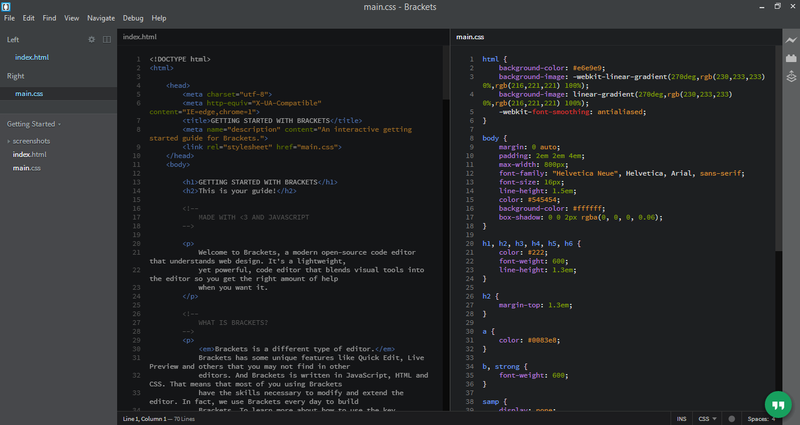 Bringing more visual inline editors. A hyperactive mind with a passion for getting acquainted with the latest technology. Thank you a lot for pointing that Extract needs cloud connection. I didn’t know if I should download the new version with or without that tool, but this argument made my decision.